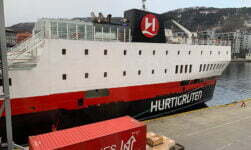 A 23-minute guided video tour of the second oldest ship in Hurtigruten's coastal fleet. Twelve days of diary entries weren't enough it seems! 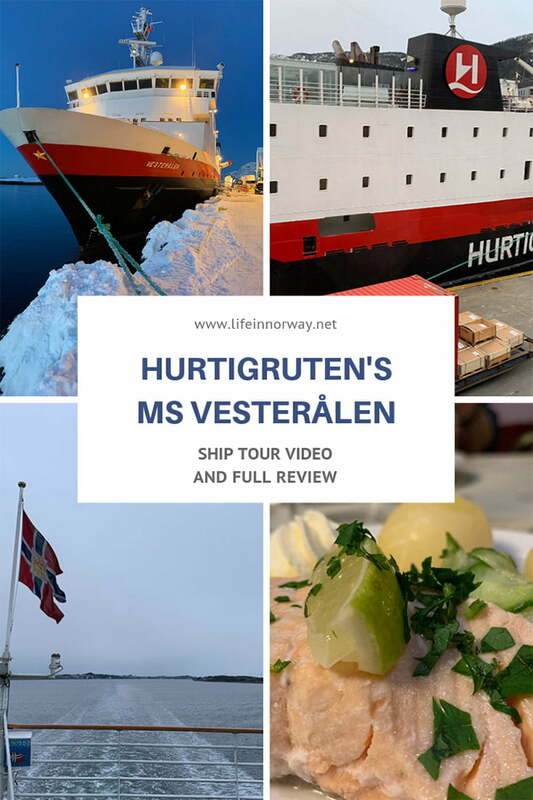 Many people have asked me for a more thorough review of the Hurtigruten vessel the MS Vesterålen, as they're considering a trip but are concerned that it may be too old or lacking in facilities for them. So before I left the ship, one of the tour leaders Kathea offered to give me a tour, which I duly accepted! You can watch the video tour below, or read on for my thoughts about the ship. If you enjoy the tour, don't forget to sign up for the book launch! 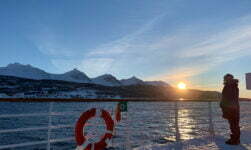 Many people have asked me about the Vesterålen's suitability as a cruise ship. It's often promoted with ‘no single supplement' deals making it an attractive price point for someone considering a Norwegian coastal cruise. But it's also the second oldest and second smallest ship. 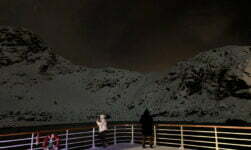 While the MS Lofoten has an obvious attraction as the most historic ship and its programme of ‘working ship' activities, the Vesterålen has neither and also lacks many of the facilities of the newer ships and is seen by many as caught between the gap. Yet I had a great time! 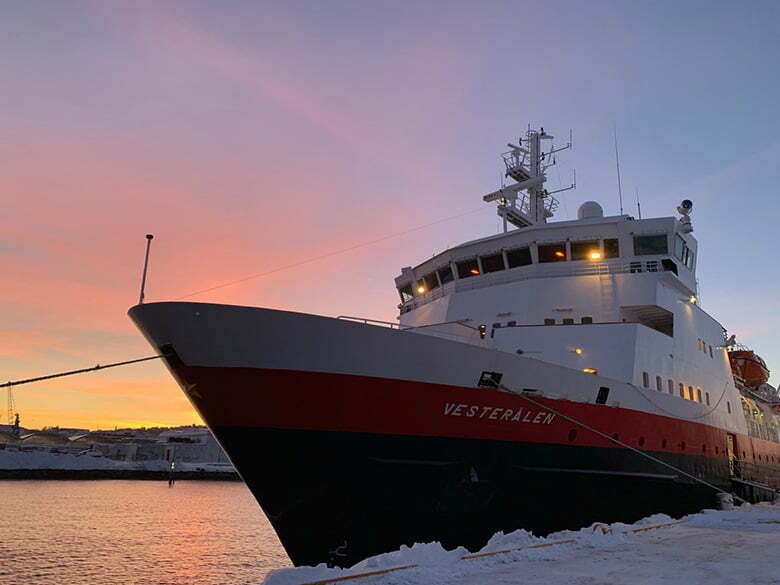 If you really are looking for a cruise experience but without the cruise ship pretentiousness or size, then the Vesterålen could be the vessel for you. It's small yet the public areas offer plenty of seating inside, and lots of space for photographs or simply admiring the view out on deck. 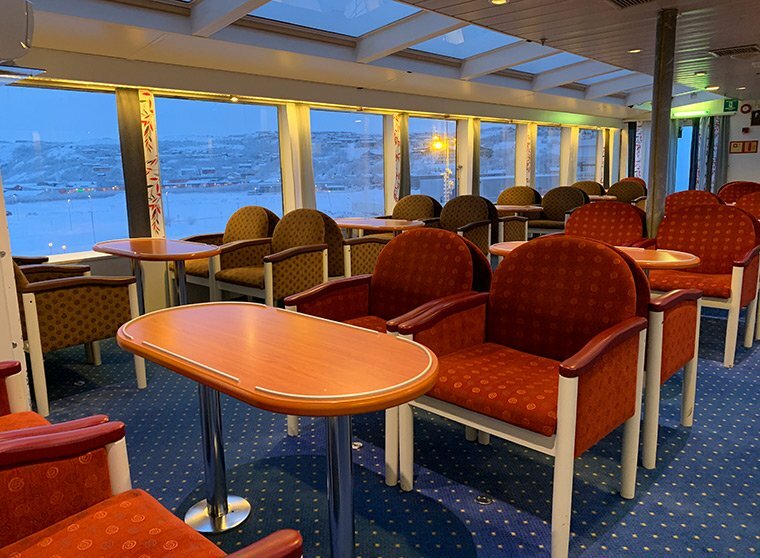 The panorama lounge is especially appealing for anyone wanting to relax, but have easy access to the outdoor decks when they see something of interest out of the large windows! The smaller size of the ship means it's also easier to meet people, find those people again, and form better relationships with the crew. When I was on board the restaurant staff double as cleaners and the tour leader's assistant also served in the cafe and shop, so there was plenty of opportunity to get to know people and ask questions. The ship can be noisy and vibrations can be felt throughout the public areas and in some of the cabins. This can be problematic during the frequent nighttime port calls, but many people get used to this after a couple of nights and their sleep improves. This was the case for me but some people said they slept really well throughout the voyage, bar the first couple of days when we battled through some winter storms. The ship is also a little chilly in places due to its unique design, but bear in mind I did visit during January! Some of the walkways and cabin areas used to be open deck and were added later. While the cabins aren't chilly and have warm air heating, the public hallways can be much cooler. The lounges, restaurant and cafe are fine, however. In October 2019 the MS Vesterålen is taking a two-month break from duty to undergo a refurbishment. There will be a small extension to the panorama lounge, some cabin upgrades, and some new furniture and colour schemes in the public areas. This is definitely needed as the decor is showing its age, but from how the hotel manager described the plans it shouldn't make an impact on the vessel's charms. The biggest upgrade is a completely new engine, required to comply with upcoming maritime fuel legislation. 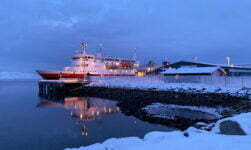 Should you choose the MS Vesterålen? You'll have to arrive at the answer to this question yourself! 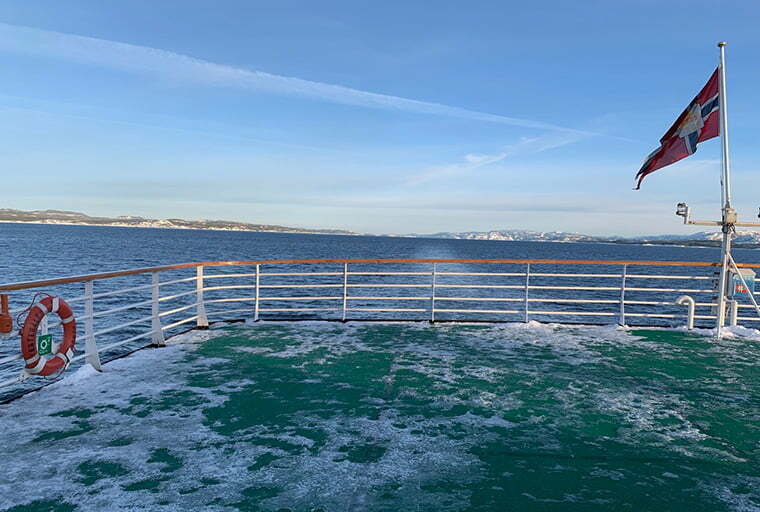 I can tell you that I enjoyed myself and certainly had no regrets about choosing the ship, even after my look around the MS Nordnorge in Trondheim. It was a lovely ship with a much modern decor throughout the public areas, comfortable lounges and even a couple of hot tubs on deck. There were also noticeably more people on board. 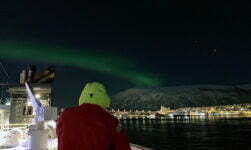 I would estimate there were about three times the number on board the MS Nordnorge than there were on board the Vesterålen. While the newer ships have ice cream bars, bakeries, expanded shops, more expedition teams, a la carte restaurants and so on, many of these facilities require additional payment. If you're not looking to spend a lot of your money on your trip, you may prefer a smaller ship with less facilities, to avoid FOMO. I certainly did! Your articles on travelling on the MS Vesteralen couldn’t be more timely for me. 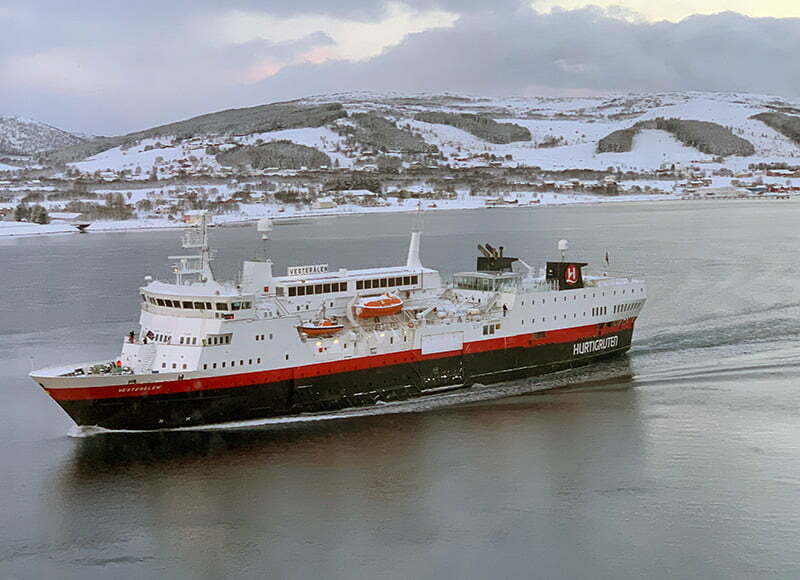 I’ll be on the ship sailing from Kirkenes to Bergen beginning March 3/19. 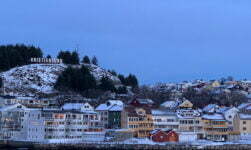 Then visiting Norway (Bergen and Oslo) for the remainder of my trip. I’m struggling with deciding whether to bring my full Canadian winter wear (snow boots/parka) or a scaled down version. Weather reports & internet sites don’t provide much help. Any suggestions for me, so that I’m warm but not over packed/overdressed? Many thanks. Looking forward to visiting Norway! 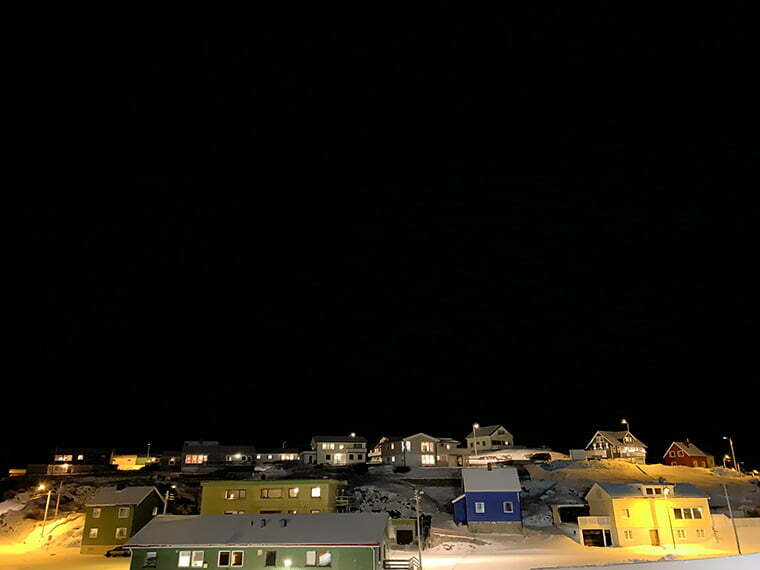 It’s really hard to say as I have no idea what the weather will be like, also you are covering such a huge part of the country so are likely to encounter varying weather throughout your trip. Also it depends what you’re going to be doing – i.e. sticking to indoor attractions or spending a lot of time outside. That said, you’ll need rainproof and windproof outer layers as a priority, then just layer up to keep warm. My recommendation is that it’s better to be overpacked than not have what you need!